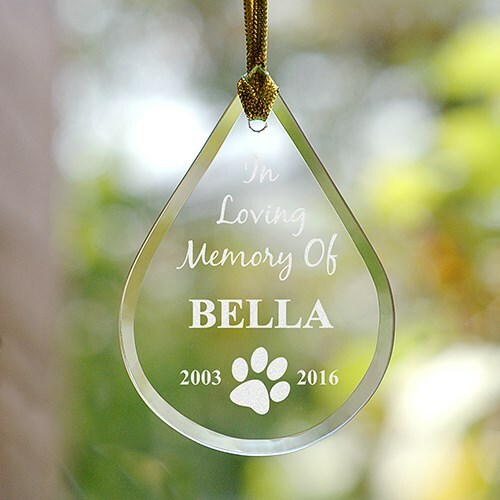 A tear drop shaped Pet Memorial Christmas Ornament is the perfect Memorial Gift Idea for someone who will be missing their pet this Christmas. This can be hung on a display, or hung on a stand (sold separately) year round. If you have lost a pet and are looking for something special for your tree, this is one of our favorite.